What’s the efficiency of a solar panel, and why does it matter? 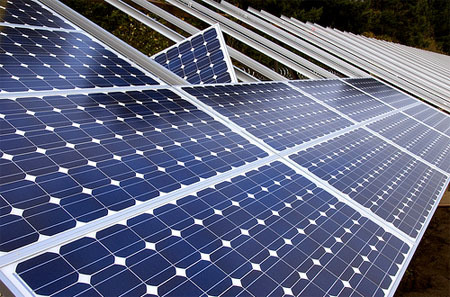 The more efficient your solar panels, the more electricity you’ll get out of each panel. In most cases, standard solar panels will provide all the power you need. Occasionally, some people have a smaller space on their roof to work with, and they’ll end up needing high-efficiency panels like monocrystalline silicon panels (see different types of solar panels). Solar installer can typically help you decide what the best type of panel is for you, based on the specifics of your roof, climate, and budget. In general you should only have to decide between a standard panel and a high-efficiency panel (like SunPower), which is more expensive. How efficient should I expect my solar panels to be? Typically, solar panels have an efficiency rating somewhere between 10 and 15%. So, if your panel’s rated 12% efficient, that means that 12% of the sunlight hitting the panel will be turned into electricity that you can use to run the gadgets in your home. Even though 12% may not sound like much, the typical roof can easily be set up to produce all the power you’ll need. Don’t be swept away by news reports of super high-efficiency panels that have just been discovered – they rarely make it out of the lab, and you’ll lose money by waiting for them. A few manufacturers, like SunPower and Sanyo, offer solar panels that are much more efficient than average. SunPower has models that are 19% efficient, made using a special design and reflective coating. The highest-efficiency panels are, not surprisingly, more expensive, but as mentioned above, if you happen to have less surface area on your roof, a high-efficiency panel will probably be right for you. What else affects solar panel efficiency? The position of your solar panels is critical– this is one reason among many why it’s important to have an experienced, high-quality installer help you with your installation. There are a lot of factors that can affect the position the installer chooses, including the direction your roof is facing (south is best), whether there are trees or other buildings shading part of the roof, and the roof’s angle. Keep in mind that solar panels work like Christmas lights, so shading is a critical issue – if one panel goes out the whole string loses a lot of power. The angle of your roof will determine how much sun hits it, and the amount will change throughout the year. Although big solar farms often have electronic tracking systems that turn panels as the sun moves through the seasons, that’s too expensive to use for most homes. Instead, your installer will calculate the best stationary angle for your panels. The installer will also choose the position that provides optimal airflow– most solar panels perform best when they’re cool. Certain panels are more tolerant of the heat, though, and your installer can advise you on that as well.